So here we have 2 recipes for 2 stuffings for turducken. 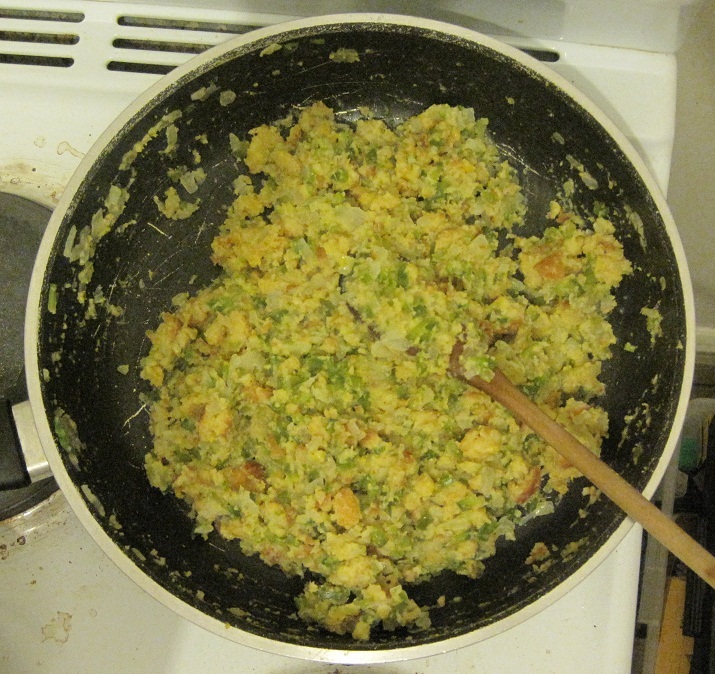 If you want an easy life, then you can just make 1 stuffing for your entire turducken. 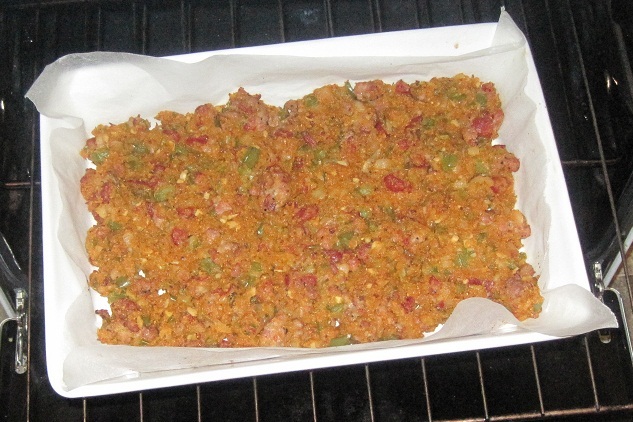 I already cheated by buying a partially deboned turkey with stuffing, I was originally going to make 3 different stuffings – the cornbread, the prawn & the sausage. 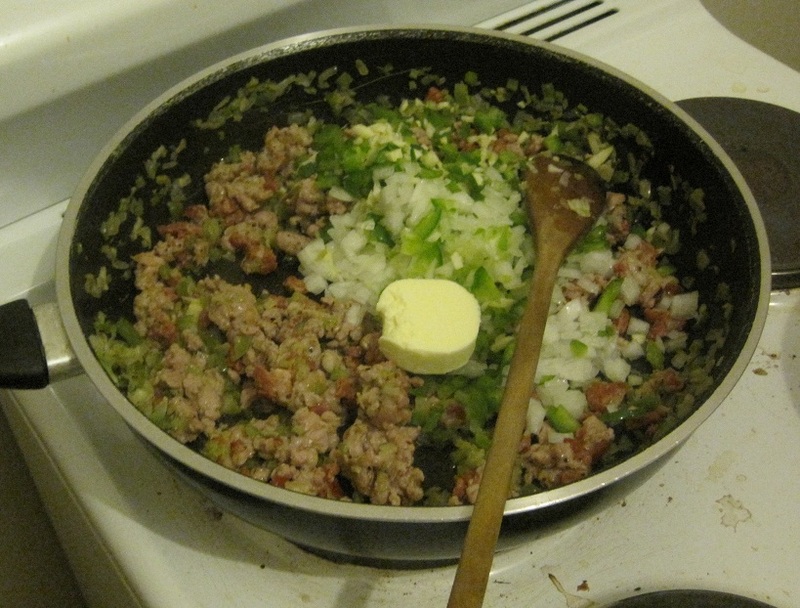 Now, I’ve decided to make just the cornbread stuffing & the sausage meat stuffing. 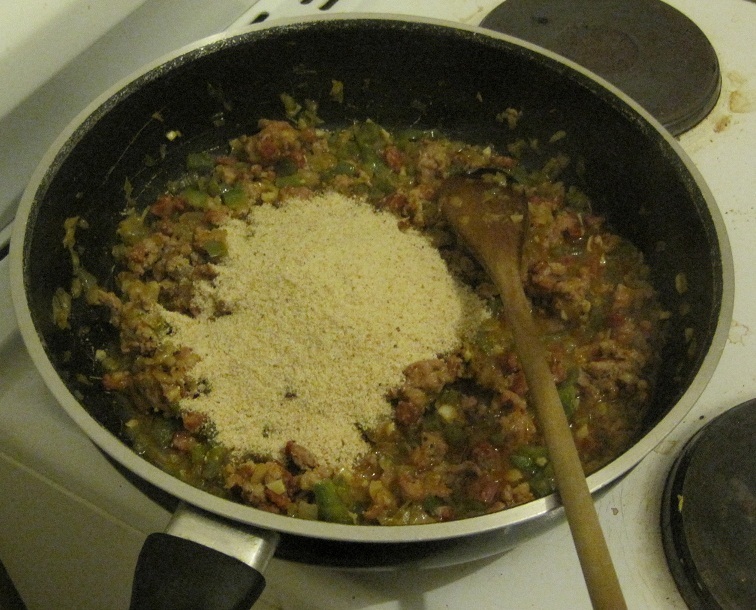 The cornbread will crumble even smaller & the whole thing will turn into a dry mash-like consistency. Let it cool, then fridge until needed. 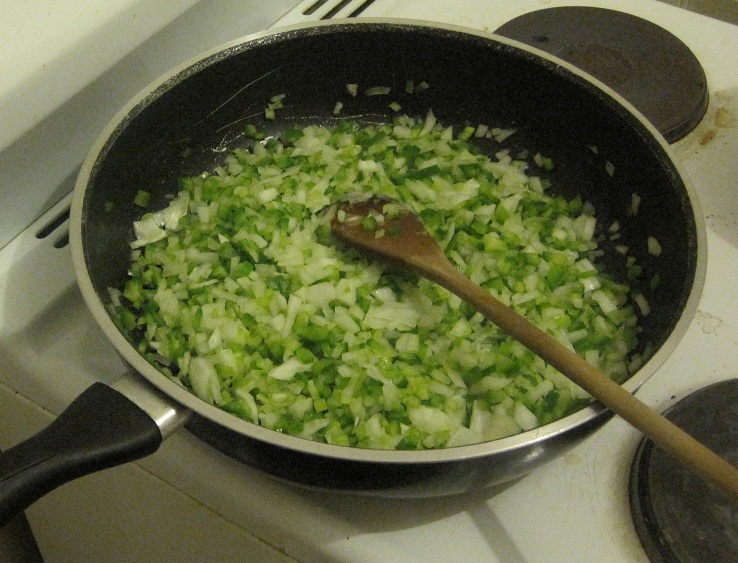 Heat oil in pan until hot, then add half of the chopped celery, onions & capsicum & saute until softened stirring occasionally. 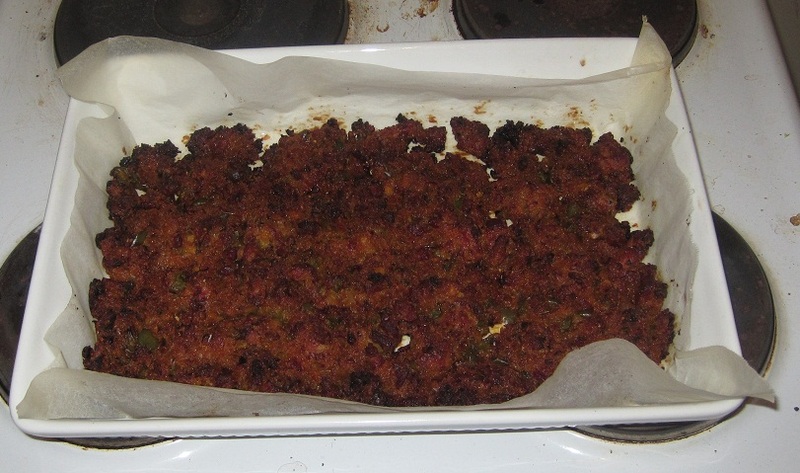 So both stuffings are now done – onto the turducken assemblage. 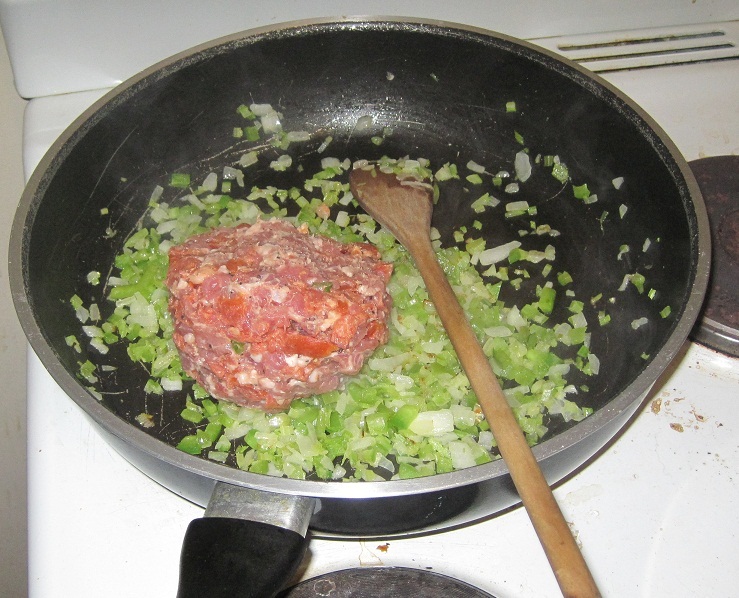 This entry was posted on December 24, 2010 at 6:31 pm and is filed under Main, Medium, Modern, Recipes, Savouries with tags cooking, food blog, recipe, stuffing, turducken. You can follow any responses to this entry through the RSS 2.0 feed. You can leave a response, or trackback from your own site.